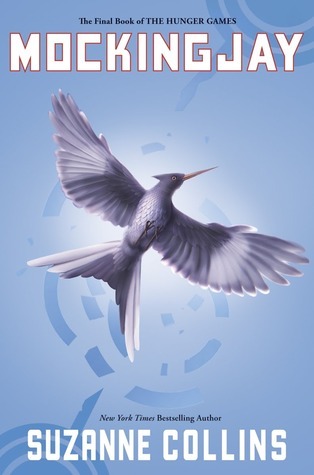 Mockingjay: The FINAL Book In The Hunger Games Trilogy! Oh No! It is not often that you come across a book, or in this case 3 books that everyone seems to like, but it looks like The Hunger Games Trilogy is just that! When I was told about these books, I questioned whether it was my kind of book. First of all, it was written for young adults, not necessarily a bad thing, as The Book Thief, also a young adult book was one of my favorites, but definitely something to consider. Secondly, I rarely read fantasy or science fiction, a genre I just never got into. So why did I pick up the first book in the series? I was intrigued! Everyone was talking about The Hunger Games. And then I saw the trailer for the movie. I knew that I had to at least give the first book in the series a try. These books should come with a warning: DO NOT READ UNLESS YOU ARE WILLING AND ABLE TO READ ALL THREE BOOKS IN THE SERIES. You cannot read just one. The Hunger Games (the first book) was definitely my favorite, a five omelet book! I immediately downloaded the second book, Catching Fire and the excitement continued. Although I thought that Mockingjay had a bit too much unnecessary violence and I really don’t understand why certain characters had to die, I still stayed up to the wee hours of the night to finish it. My 15-year-old niece read and loved these books, my 28-year-old daughter read and loved these books and now my 80 some year old mother is hooked on The Hunger Games! What is it about these books that makes them so appealing? These books are exciting. They have you sitting on the edge of your seat. They are like a wild ride at the amusement park. You never know what is around the next corner. For a good time…. Read The Hunger Game Series, but be sure to start with #1. I LOVED both of the first books and devoured them in one long reading weekend fest! Like you, I didn’t like Mockingjay “as much”, but I was sad to say goodbye to Katniss. Hi Julie, Thanks for visiting. I just started Divergent. I hear that if you liked the Hunger Games, you will also enjoy Divergent. I will let you know what I think!